In summary, hair loss in women can start around 30 years of age and usually involves overall thinning rather than a bald patch. It often becomes more noticeable around 40 years of age. #1. Hair loss in women is often connected to pregnancy. Three to six months after delivering a child, many women notice a degree of hair loss as the hair goes into a resting phase because of the physiological impact of the pregnancy on the body. #2. A woman's body can also be greatly affected by intensive diets and losing a lot of weight in a short period of time. #3. Severe illnesses and infections can put great stress on the body thus triggering the hair into a resting phase which result hair shedding. Often the body recovers naturally within 3 to 9 months and the hair begins to regrow until it almost resembles its original condition. #4. Hair loss in women can be aggravated further by improper use of chemical hair treatments such as dyes, tints, bleaches, straighteners, and permanent waves. Generally, healthy hair can undergo these treatments without showing signs of stress, if they are not done too often. 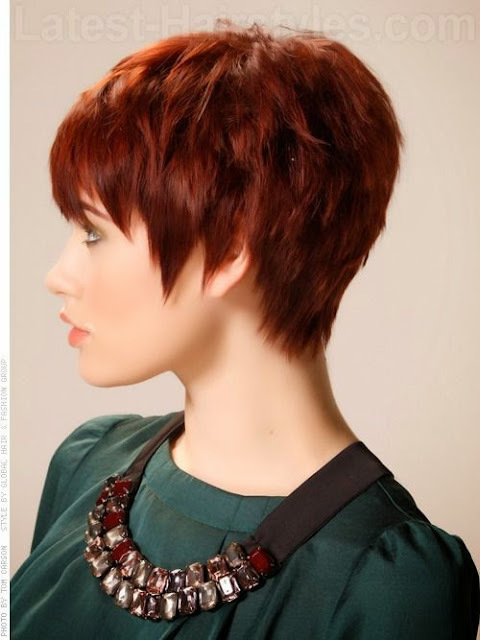 However, if hair is breaking or if it becomes brittle it is best to stop these procedures until the hair has grown out. #5. The constant pulling of hair with styles such as ponytails and braids can sometimes cause hair loss in women. Avoid pulling the hair tight with these styles. #6. Rough combing and brushing of the hair and vigorous rubbing with a towel after shampooing can cause it to break, adding further to the problem of Hair loss in women. Wide toothed combs and brushes with smooth tips are recommended to minimize hair breakage. Although hair loss is distressing for everyone, hair loss in women is perhaps a cause of more anxiety as it can lead to feelings of lack of confidence and femininity. In many cases, proper care and attention to hair can greatly reduce the danger of hair loss. In other cases involving illness or heredity, consulting with a professional hair stylist can result in a hair style that minimizes the effect of hair loss in women.